In my search bar, I put in: black handbag. (You can filter by size, color, price, and condition, meaning either used or new). For the ones that interested me, I “liked” it as you would on other social media sites like Instagram. Once you like something, you can search the seller’s other items to try to create a “bundle” to save on shipping costs. For expedited 1-3 days USPS, the buyer pays $5.95 for up to 5 lbs. For my first order, Poshmark provided me with free shipping. I continued searching until I landed on some Rebecca Minkoff bags and then I was hooked. Did I care that some were not the latest style? No. Did I love that braided leather gold chain on the Swing bag? Yes. For two days, I searched the listings for this bag. I liked ten of them or more. I asked the sellers questions. May I have the dimensions, please? Has this ever been worn? Is there any damage? If you know me, I will research something to death. I checked Nordstrom’s website and read the reviews. How much did it originally sell for? The listing stated $295 which I verified on the Rebecca Minkoff site. I also compared the asking price to what others had sold it for and finally, I pulled the trigger and made an offer of $120 which the seller accepted, just five dollars off the asking price. (The seller can counter or ignore your offer). This bag had never been used and came with the original dust bag. 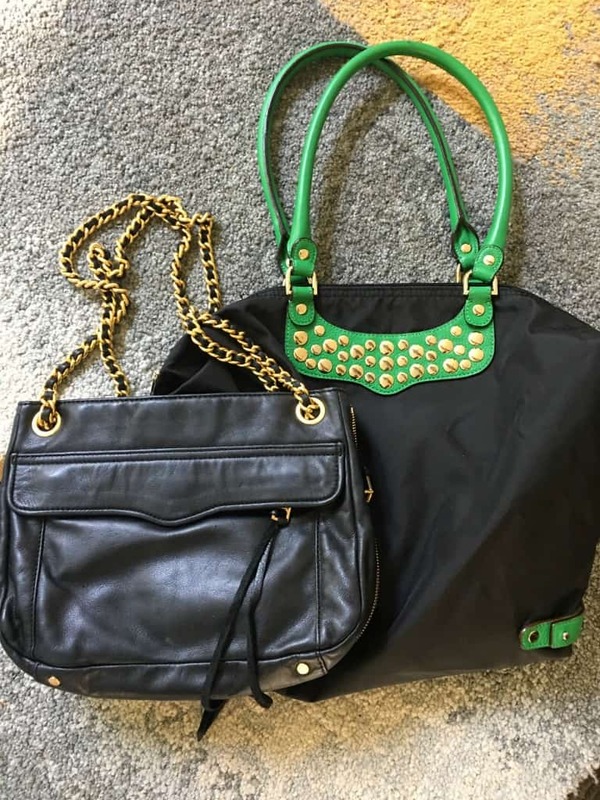 I also purchased a Rebecca Minkoff tote for $60 from another seller, also new with tags, which also originally sold for $295. Note: you can also trade for items from your closet if the buyer and seller agree to that type of transaction. A few days later, the bags arrived at my doorstep, just as described. There’s a social aspect to Poshmark too which I haven’t really embraced yet but I think that’s part of the appeal to women. You can search your Facebook friend’s closets. I got invited to (online) parties, which always makes you feel good, right? People liked, shared, and followed my closet (although I am only selling two measly items so that surprised me but again, I appreciate the love). Have you used Poshmark? What was your favorite purchase? Have you sold on Poshmark? Any tips for me?